Following our post last night about three PES 2015 gameplay videos straight from Gamescom by WENB, here is the rest of their PES 2015 video footage from the event. Both new PES 2015 Gamescom gameplay videos feature matches between Netherlands and Spain, while Winning Eleven Blog also put together an extra PES 2015 gameplay montage video showing snippets from several matches. 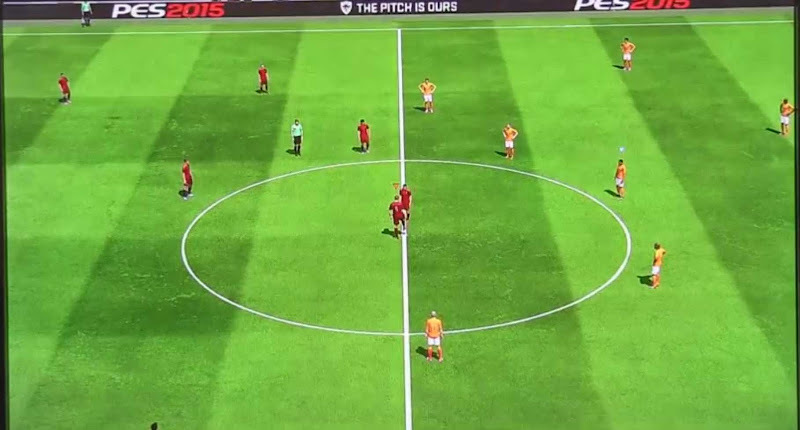 The first PES 2015 gameplay video of Netherlands vs Spain is about a human vs AI match as well - and finally the difficulty in a PES 2015 gameplay video is set to Superstar. This PES 2015 gameplay video shows a human player (Netherlands) up against the Superstar CPU (Spain). This is a new PES 2015 gameplay video from Gamescom showing a Netherlands vs Spain match between two human players. Last, but not least, we have this nice little PES 2015 gameplay montage.